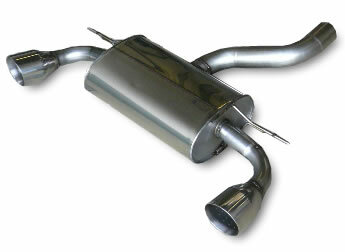 All Mongoose performance exhausts are made from from 1.5mm T306 stainless steel tube on state of the art CNC machines. Each exhaust is mandrel bent (not cut and welded). The Mongoose silencers are formed from polished stainless steel and packed with the highest quality materials available. The Mongoose systems are finished with a choice of highly polished tail pipes, and our testing has shown that a Mongoose exhaust will give more power than other aftermarket exhaust systems. Mongoose - The essential performance exhaust system.